Users make a huge contribution to the community, but can't get valid proof of contribution and reward. "You are one of the authors on Quora. In a year, you have created a lot of good articles, in which obviously you contributed to Quora. After one year, you left Quora for some reason, but you have no proof of any contribution nor rewards." Any participant who contributes to the development of the community should receive a relatively fair proof of contribution. "Joining a Quora built based on the Fountain, the same situation as previous, when you leave the Quora, you can get 1 million tokens based on the proof of your contribution, these tokens may be worth 10,000 US dollar when circulating in the market." Users can convert 1FTN to 1FP, and users with FPs can participate in voting. The users with more FP, the greater the influence on the allocation of reward pools. FP is the core of the entire PoC, and the design of the PoC mechanism is based on the principle of one FP for one vote. Content is the most important value in the Fountain, and the content contribution rewards are mainly designed around the author's creative sharing and the reader's curatorial contribution. We will include Arbitrations reward and introduction rewards as operational contributions. Singapore Chinese scholar. Author of the DAO Creator Declaration and editor-in-chief of Fountain Whitepaper. Founder & CEO of Jianshu. Drafter of Fountain Whitepaper. In 2013, he founded Jianshu and gradually developed it into the most influential creative community in China. With excellent product awareness, he has deep insight into Internet product design and development, community management, and content ecology. Graduated from Tongji University, Qingteng Changjiang Business School (Phase III). He will be responsible for the design, implementation and supervision of the DApp ecosystem in the Fountain project, and will be deeply involved in the technical architecture planning of the Fountain project, providing valuable product development experience. Gobi Venture Managing Partner. Drafter of Fountain Whitepaper. He has invested in Internet projects such as Tuniu (Nasdaq: TOUR), Che Zhibao, Jianshu, and Dianwoda. As Senior Director of elong Travel and Managing Director of Ion-global Technology, he has accumulated rich experience in software engineering, product management and user experience. He graduated from Fudan University in Electronic Engineering. He was awarded as Top 10 Angel investor by ZGC, Top 40 investor under 40 by Cyzone, Venture Star by ZVCPE, China Best youth investor by ZVCA, and Top 30 Angel investor 2017. He also serves as mentor for Angel Growth Camp and Bang Camp. Fountain is not a blockchain platform made by Jianshu. Fountain is an open consensus network. 2.What is the relationship between Fountain and Jianshu? The Jianshu is an internet company. The Jianshu is a strategic partner of Fountain. The first Dapp in the Fountain ecosystem will be integrated with the Jianshu. The founder and CEO of Jianshu, Lin Li will serve as the chairman of the Fountain Foundation and lead the Fountain project. 3.When is the roadmap published? Please refer to the #Development Route# chapter in the white paper. As the project progresses, we will gradually refine the roadmap. 4.I want to know how the timetable for Fountain and Jianshu is arranged. The team's recent focus is to continue to work closely with the Jianshu's team to discuss the plan. Since Jianshu is an APP with a large number of users, many factors need to be considered for the excellent operation of the PoC mechanism, and the amount of work required for the preliminary preparation is large. We are temporarily unable to give a precise timetable, but we will announce the progress of the project promptly. 5.Suppose I have a number of tokens, and the company value is 10 billion. What does it have to do with me? Fountain is not a traditional enterprise. It is a consensus network whose value comes from the consensus network itself. Users who have contributed credentials are themselves part of the consensus network, and the value of the consensus network is rising, that is, the personal value is rising. The value of the entire community ecology is actually divided into two layers, one is the level of the chain, and the other is the level of Dapp. Jianshu has the value of Dapp as its existence, and FTN as the chain has the value of its content ecology. Take steem as an example, FTN is equivalent to steem, and the Jianshu is equivalent to steemit. 1.Is the reward mechanism similar to the currency? What are the similarities and differences? Please refer to the White Paper PoC Mechanism section. Fountain has its own unique mechanism. 2.How are content creators profitable? See the incentives section of the white paper. The basic principle is: To create better content and gain more consensus, and you can get higher incentives. In terms of incentive allocation, content creators enjoy the highest quota of community contribution incentive pools. 3.How does the PoC mechanism land in the Jianshu and verify its validity? A. Jianshu will launch a new virtual item of “Jianshu Diamond” (tentative) and design a series of rights, such as: redeem Jianshu members, paid content, etc. B. Before the official launch of the Fountain agreement, Jianshu will use the Jianshu Diamond to simulate and test the PoC mechanism. C. Jianshu Diamond for user incentives will be gradually released to Jianshu user based on the consensus rules to complete the cold start of the PoC mechanism (in the program evaluation). D. Fountain Foundation will support and supervise the above plans, and will send team members to assist in blockchain technology development. 4.What are the similarities and differences between Jianshu Diamond and FTN? A. The Jianshu Diamond and FTN can be exchanged at 1:1, and the conversion rules are the same as the FP and FTN conversion rules. B.  Users with Jianshu Diamond will have the same community rights as FP holders in the Fountain Network. 1.Where is the souce code? The team has a clear open source plan, the core code and information will be open to GitHub after it matures. 2.Based on what chain is the currency? In the white paper, what is the technical logic for using ETH and EOS? The white paper is only an example, detailed technical arguments have been launched, and the team has an open mind. Jianshu is the first and most important partner of the Fountain. It has 12 million registered users and 2.5 million daily active users. stable content flow and industry-leading intelligent contents recommendation algorithm. Your password is at least 9 digits and must contains numbers, letters, special characters.